Air Canada and Air China have dropped the price of their flights from Halifax to Beijing, China down to $699 CAD roundtrip including taxes. Some of these flights are as fast as Halifax - Beijing, China can be done. NOTE: A visa is required to visit China. halifax, yhz, flight deals, air canada, beijing, china, pek, asia, east asia and air china. 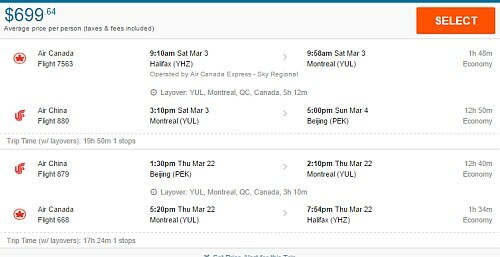 2 Responses to "Halifax to Beijing, China - $699 CAD roundtrip including taxes | 1-stop flights"
This is a great deal! We flew from Edmonton to Beijing in 2012 and paid a little more than double this and we were a lot closer to China as we were in Edmonton. 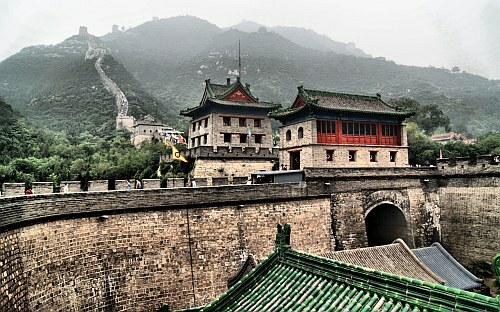 This is a great opportunity to go and explore China! We had a blast and travelled all over and all on our own. Was priceless. Tip: A great hotel in Beijing with unbelievable Chinese charm is The Orchid in the ancient Hutong area. Owned and operated by a Canadian. It's a gem. Thanks a million for this, I'm so excited to see China!